A Hertfordshire man is gearing up for a 10,000 mile motorcycle challenge in memory of his son Tom, who died when he was just seven years old. Richard ‘Dicky’ Barr will ride from London to Mount Everest, leaving the capital on 20th April, the day on which Tom would have turned 22. 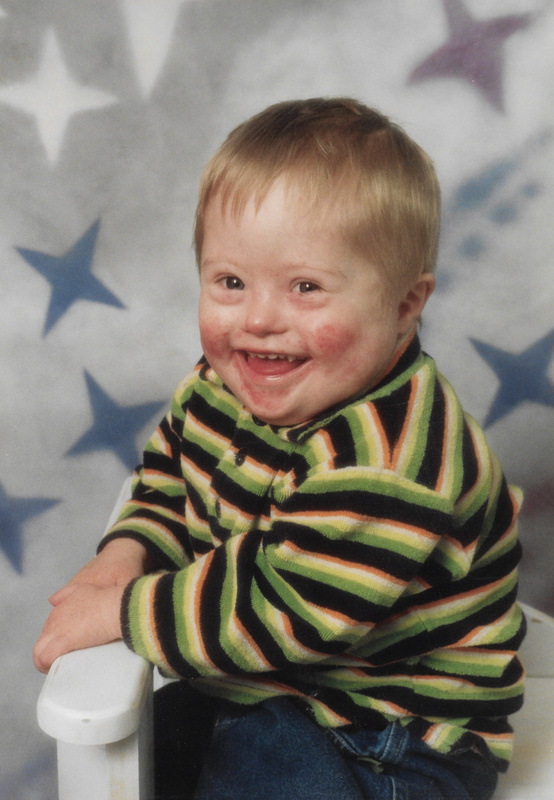 Tom had Down’s syndrome and was born with congenital heart disease, (AVSD and Fallot’s Tetralogy). Despite his challenges, Tom enjoyed life to the full and lit up the lives of those around him. “Tom tended to create a tidal wave of smiles and laughter wherever he went, as others were taken by his infectious joy. He had a real slap-stick sense of humour, going into fits of giggles if you were to drop something, or knock into something. We are incredibly proud of him”. Tom died at Great Ormond Street Hospital in July 2004 and ever since, Richard has dedicated much of his spare time to fundraising for the Down’s Syndrome Association and for Tom’s old school, Woolgrove Special Needs Academy in Letchworth Garden City. Richard has raised more than £55,000 over the last 12 years for the causes. He has ridden across India on a motorcycle; climbed Mt Kilimanjaro; trekked the Peruvian Inca Trail and to Everest Base Camp; cycled across Vietnam and Cambodia; dog sled over 250km in the Arctic Circle; cycled across Costa Rica; motorcycled the length of the UK in under 16 hours and cycled from Land’s End to John O’Groats, amongst other challenges. This next challenge will see Richard off for over two months, with only a few fellow adventure motorcyclists and a toy mouse at his side. And so followed ‘You Can Do It Tom Mouse!’ – the story of a young adventurous mouse following in his grandfather’s footsteps, venturing around the world. Shortly after Richard’s son’s death, Woolgrove School created the annual ‘Tom Barr Award’ for the happiest child in the school. Richard recently visited Woolgrove School to share the Tom Mouse story and work with the children to help them to bring their stories to life. To find out more about the book and to follow Dicky Barr and Tom Mouse on their London to Everest adventure, go to http://www.tommouse.co.uk or follow them on Twitter , Facebook and Instagram.